Living Torah Center Chabad, a Jewish synagogue in Santa Monica, has experienced its share of anti-semitic acts over the past couple years ranging from a man interrupting a service by yelling, “Heil Hitler” to a letter containing an anti-semitic message left in the synagogue’s mailbox. The most recent incident was discovered by a Rabbi who arrived Christmas morning to the repugnant sight of feces and food smeared across the entrance. Synagogue officials believe the vandalism to be racially motivated and although Santa Monica Police Department has not officially classified the criminal act as a Hate Crime, detectives have not ruled out the possibility as their investigation continues. In California, the property crime of vandalism is typically prosecuted as a misdemeanor offense under Penal Code statute 594(a) and is described as defacing with graffiti or an inscribed object, damaging, or destroying real or personal property that is not his or her own. However, vandalizing a building owned and occupied by a religious institution primarily used as a place of worship can be charged as felony vandalism under Penal Code 594.3(a), thus increasing the punishment range. In addition, a Hate Crime special circumstance allegation would further enhance sentencing. Charged or investigated for vandalism? The Los Angeles Unified School District (LAUSD) is currently enforcing a zero-tolerance policy regarding misconduct. According to a news report in The Huffington Post, this policy involves the creation of “teacher jail,” in which teachers are reassigned to office or administrative duty until their investigation concludes. Officials say there are nearly 300 teachers who are currently collecting pay but are not being allowed to actually teach because of pending investigations. Many of these teachers were reportedly involved in alleged incidents as minor as tapping a student’s stomach or grabbing a student’s arm. It is important to protect our children from dangerous sexual predators, but many have said that the current crackdown in LAUSD is nothing more than an unreasonable witch-hunt. It is not clear how many of the teachers who are currently not allowed to teach will face actual criminal charges. The LAUSD’s actions were in response to two serious incidents that occurred this year. The first arrest involved a Miramonte Elementary School teacher who was accused of sexual misconduct against 23 students. Those allegations resulted in the removal of the entire school staff. A more recent incident involved a teacher at Telfair Elementary School who was arrested and sentenced to jail for molesting students. According to a news report in the Los Angeles Times, a lawsuit filed by legal scholars and civil rights attorneys alleges that Los Angeles County prosecutors and Sheriff’s officials have concealed both complaints about law enforcement misconduct and important evidence from defendants in criminal cases. The lawsuit cites several specific cases in which authorities purportedly failed to disclose information about misconduct complaints “filed by inmates against deputies who were to be witnesses in criminal cases,” and alleges that similar evidence may have been kept hidden in potentially thousands of cases. In addition to the lawsuit, the American Civil Liberties Union (ACLU) of Southern California submitted a state bar complaint against the county district attorney calling for a civil grand jury investigation. The complaint also calls for an independent counsel to review cases that have resulted in convictions since “controversial policies” have been enacted. 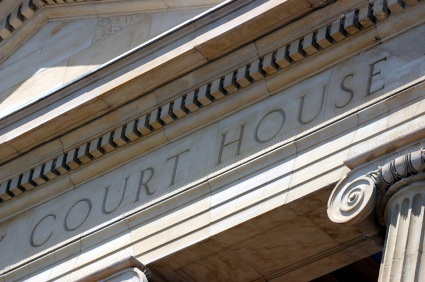 The lawsuit claims to go to the heart of the legal duty prosecutors have to ensure defendants receive a fair trial by disclosing information that is beneficial to the defense. The district attorney’s office and the Sheriff’s Department have denied the allegations, stating that the lawsuit mischaracterizes how they decide what evidence is turned over. The Los Angeles County District Attorney claimed in an official statement that the lawsuit is an obvious “attempt to mislead the public and the court,” adding that he is confident that the policies of the office comply with the highest constitutional and legal standards.